Sometimes it's the little things that make the biggest impact! We have a variety of products for your big day. 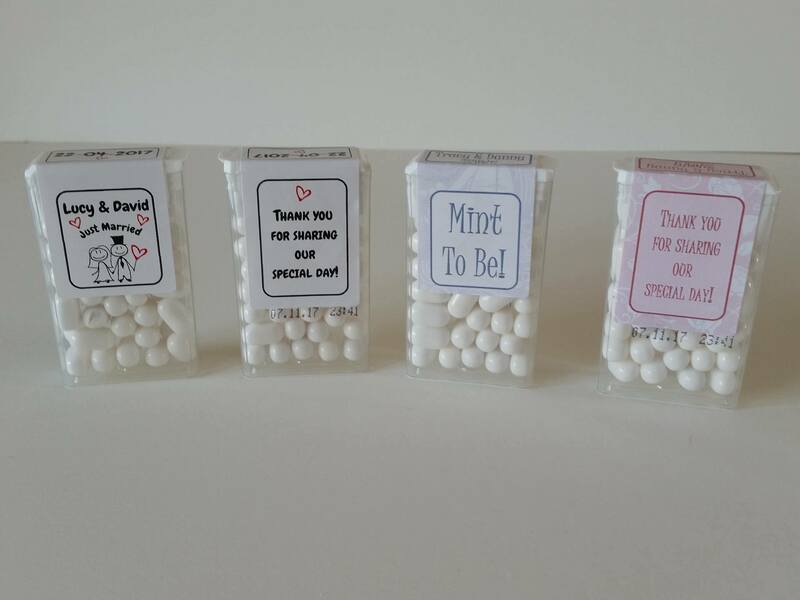 From the early days of sending out your invitations with a personalised sticker to seal the envelopes, and the essential return address stickers. 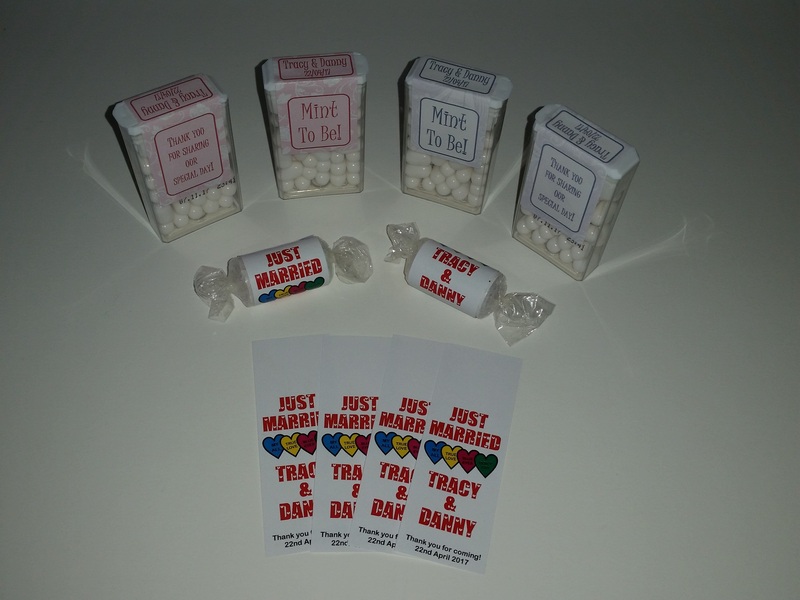 Right through to the big day itself when you can use our stickers to personalise sweet bags for your candy tables, TicTac boxes, crisp sandwich packs, and our wraps can be used to personalise chocolate bars and mini Love Heart sweets. 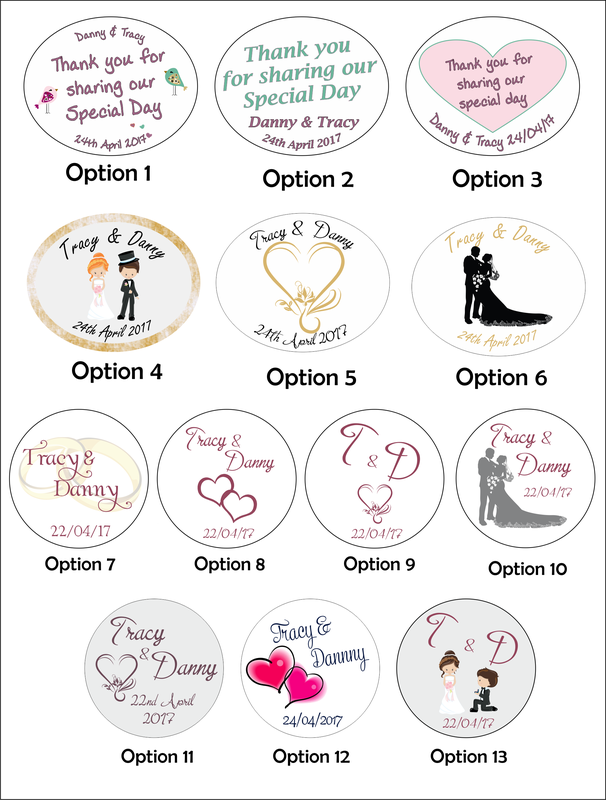 We have a selection of designs for you to choose from, or you can go with your own design, and we will work with you every step of the way to make sure you are 110% satisfied with the final result.